(Tribune file photo by Francisco Kjolseth) Former World Trade Center Utah president and CEO Derek Miller, seen here speaking at the Kem Gardner Policy Institute on the North American Free Trade Agreement, has been hired by the Salt Lake Chamber to replace Lane Beattie as its president and CEO. 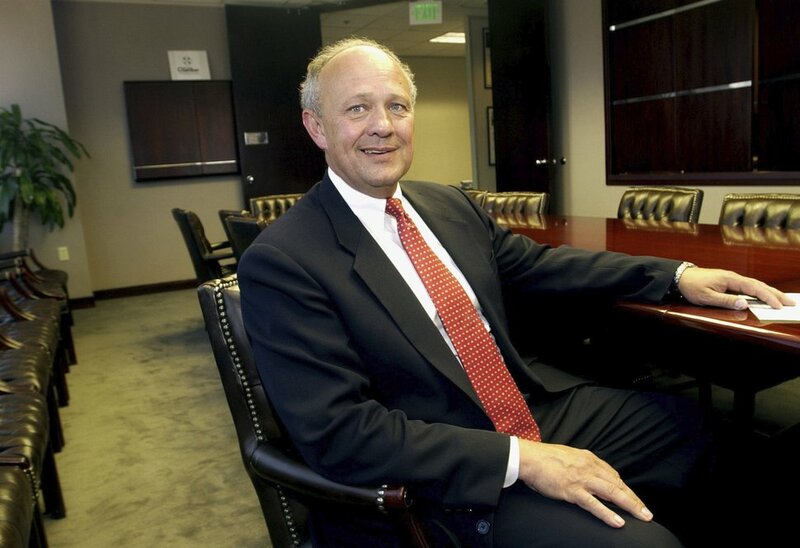 A familiar figure in Utah’s business community will be the newest leader of the 130-year-old Salt Lake Chamber. Derek Miller, who most recently was president and CEO of World Trade Center Utah after serving as Gov. Gary Herbert’s chief of staff, will take over the helm of the chamber and its affiliated Downtown Alliance in May. He is replacing Lane Beattie, who is retiring after 15 years as the chamber’s president and CEO. 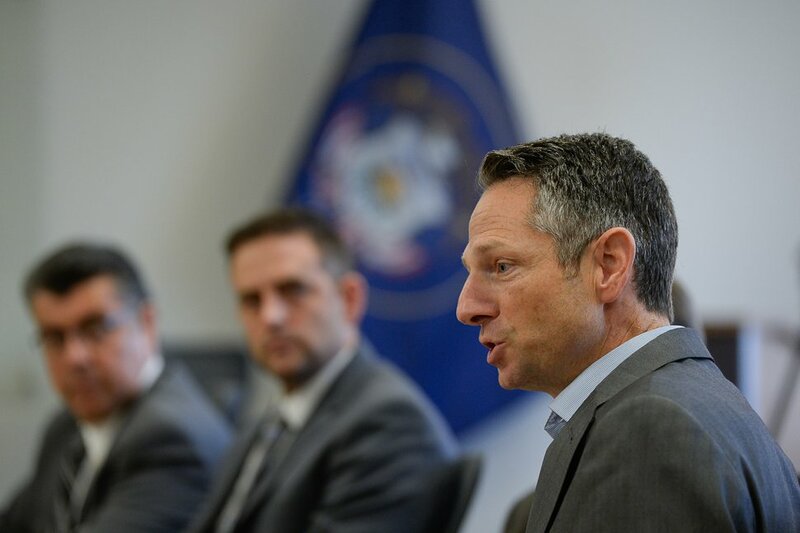 “Utah’s economy has flourished because of good people who work together,” said Miller, who forged other ties to the business world from a stint as managing director of the Governor’s Office of Economic Development under former Gov. Jon Huntsman Jr.
(Francisco Kjolseth | The Salt Lake Tribune) Derek Miller, president and CEO of World Trade Center Utah, hosts an immigration roundtable with community leaders to discuss immigrants' essential contributions to the Utah economy. The event marked the launch of the iMarch for Immigration Campaign, a national day of action in all 50 states on Wednesday, Dec. 6, 2017, in an effort to push forward with a solution for Deferred Action for Childhood Arrivals, the so called "Dreamers" who came to the U.S. as children. Miller’s selection follows a three-month search by a committee composed of former and current chairmen of the chamber and Downtown Alliance and key business people. Both the chamber’s executive committee and its broader Board of Governors voted for Miller. 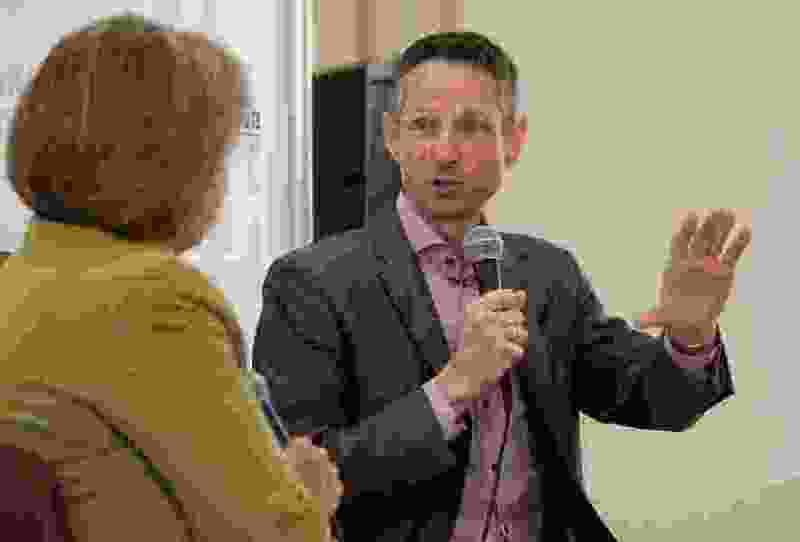 “I feel confident he is the right person to lead the Salt Lake Chamber into the future,” Clyde said of the organization that, under Beattie’s lengthy leadership, became more vocal in publicly and legislatively advocating for causes — such as cleaning the air — that affect the state’s 63,000 employers and their 1.4 million employees. | Tribune file photo Lane Beattie, president of the Salt Lake Chamber of Commerce. Beattie echoed the emphasis on collaboration in his congratulatory remarks for his successor, saying his accomplishments over the past decade and a half were propelled by the “participation of the state’s business community.” He predicted they “will continue for many years to come” under Miller’s guidance. 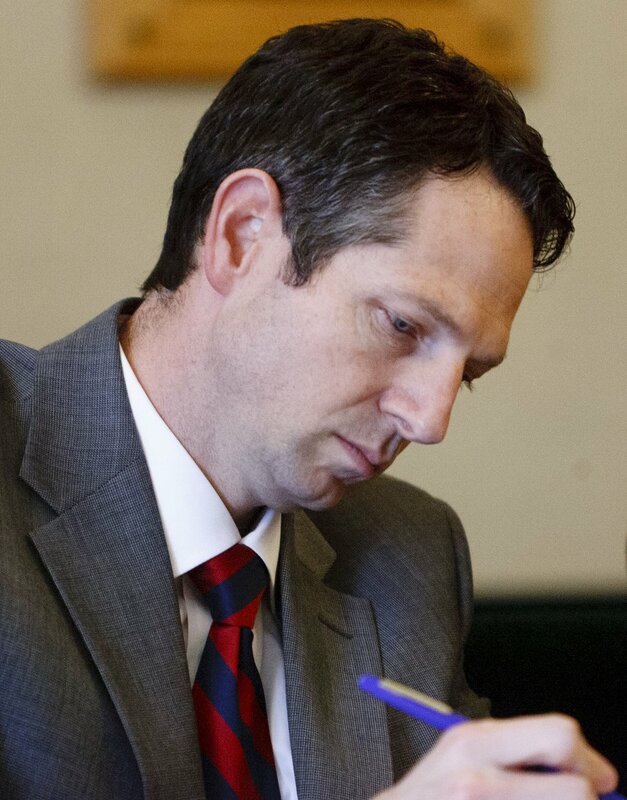 A lawyer who also has a master of public administration degree from Brigham Young University, Miller has experience as a management consultant with the accounting firm Arthur Andersen and as legal counsel for a U.S. House committee. Leaving World Trade Center Utah was not easy, Miller noted. Trent Nelson | The Salt Lake Tribune Derek Miller during the first meeting of the new Olympic Exploratory Committee, Thursday, Feb. 16, 2012, in Salt Lake City. The chamber and the trade center worked closely on a number of issues in the nearly four years that Miller ran the trade-promotion agency, increasing the number of participating Utah companies to almost 100. During his tenure, he also initiated a program to help rural companies develop export opportunities and led trade missions to London, Singapore, Vietnam, Jordan and Israel. “The organization has experienced phenomenal growth and hundreds of Utah companies have expanded their business overseas,” said Scott Anderson, the Zions Bank executive who is chairman of the World Trade Center board. Anderson will head a search committee to replace Miller, who will continue to lead the trade center until a new CEO is selected. Other committee members are Natalie Gochnour from the University of Utah Kem C. Gardner Policy Institute, Lew Cramer of CBC Advisors and Rich Lambert of Wells Fargo.